“I am in love with horses and your blogs. Unfortunately I live in the city with no access to horses. I am sixteen and curious if you could give me a few possible jobs that involve horses, outside of vet and farrier.” Thanks Paula S.
I remember when I was a kid the only jobs I could think of that involved horses were vet, farrier and jockey. For some reason I over looked some jobs that were right in front of me, for example, magazine writer. I read a horse magazine but didn’t really think about all the job opportunities that were offered inside of that: writer, photographer, editor, etc. The list will be really, really long when you really think about it. So long in fact that the shorter way to find the answer may be to start with some of your other strengths and then see how they could intersect with horses. If you love long car trips, you could be a horse hauler. If you love kids, you could specialize in beginners camps. If you like braiding hair or grooming, you could become a groom on the hunter circuit. If you have a background in something like music ask yourself how that could intersect with horses. This website has jobs listed for grooms. ← A good day can be a simple one. Equine assisted coach, equine facilitated learning specialist, equine assisted psychotherapist… And similar titles in the equine assisted learning, growth and therapy field. How much does a mane and tail braiding specialist make? It was a career my former teacher suggested. Breed Association positions, Breed Secretary, registration, etc. Handler for pony rides. Training miniature horses to become guide horses, and other therapy types (physical, speech, behavioral and occupational). We’ve provided some of the therapies listed, but have the best results working with children with autism. Also, rescue services for horses (fundraiser, grant writer, program manager, safety manager, lobbying for laws to protect horses). The list is far reaching. There are many established jobs/careers, but use your imagination. Try to find things your good at, or passionate about, and then decide what direction you want to go. You can’t go wrong with passion and hard work. Good luck! Occupational or Physical therapist that uses hippotherapy as a treatment modality! I would love to do any of these jobs, but after watching so many good horse people like you communicate with their horses, I’ve fallen in love with the idea of training. I want to be a trainer when I grow up, I’m only 17. I don’t go to a barn or take too many lessons, I lease a family friends horse on their property. He’s still green and I’m still learning. 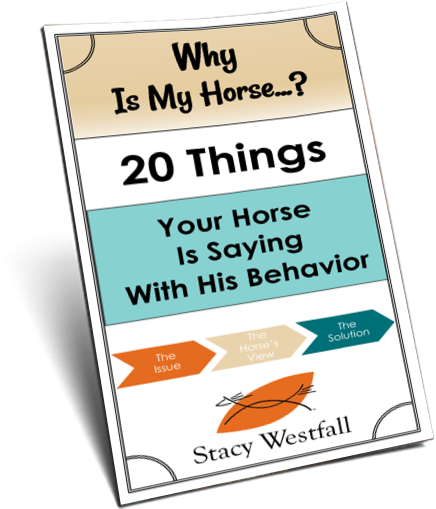 I used to end up more on the ground instead of in the saddle, but after watching your approach, we’ve improved. 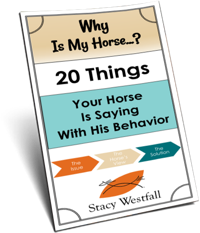 So I just have one question, to what extent are u allowed to do trial and error with a horse just starting out and what’s the best way to listen to your horse (according to you)? Hunting Outfitter, Wrangler, Transporter for hunting. If you have no access to horses to ride you could perhaps volunteer at a therapeutic center to get your feet wet. Stacy has given so many options, but you have to get some hands on experience I think. Go to horse shows, pony club lessons, and hopefully be able to actually get on a horse to get that experience. You are young, so go hunting for the many opportunities that exist. The racetrack is a great place to learn a Ton, Quickly. Good luck girl!! Ps, my sister travels the world as a horse photographer. She has had a media pass to four Olympics now, thanks to her dedication and passion for horses. I work as a barrier attendant at the race track. There are too many jobs at the race track to name them all. A passion for horses is the only qualification you need to get a start at our local race, but it can lead to a full time occupation. Even the lady that collects a urine sample from the winning horses is just there so she gets contact with horses. Wow. Thank you Stacy so much for answering,and with such a list. I have decided I want to be DVM that specializes in horses and part times as a riding instructor and perhaps horse trainer. I would love to attend Findlay University,but tuition is high and I am one of seven. So MSU will probably be where I go unless I can get scholarships and financial aid. My grandmother has been trying to discourage me from going to vet school. My goal is to graduate a DVM and certified riding instructor,get 250+ acres of land and operate a dude ranch/boarding and teaching center. You are such an inspiration. Thank you again so much for answering my question. Can I make a suggestion for another article? I’d like for you to watch this video and then share what you think about it. Thanks. Sorry, I put in the wrong video. Hopefully this one is the correct one.